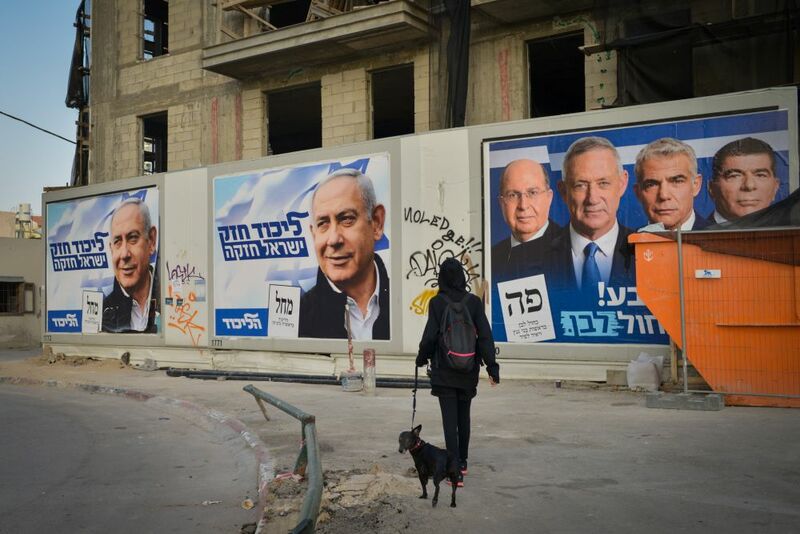 For a month, Israelis and their media were too steeped in ferocious electioneering, among bidders to lead the next government in the April 9 vote, to notice the critical realities unfolding in the region. They were mesmerized by PM Binyamin Netanyahu fighting for his life and a record-breaking fifth term against former general Benny Gantz and his attractive offer of change. No Middle East issue figured in any of their campaigns. But by Wednesday morning, the winner who emerges from the furious race will come face to face with four pivotal changes overtaking Israel’s immediate neighborhood while every Israeli politician was preoccupied with his personal survival and knocking down his/her rivals. These pivotal events are explored extensively by the analysts of DEBKA Weekly (for subscribers) in the coming issue out on Friday, April 12. Click here to sign on. Ok, the whole delay with the elections will clear out shortly, just one more day. Then the liberation of occupied North Israel land up to the Litani river, the liberation of the occupied Samaria, and the liberation of the occupied Judea may start. Indeed. The work begins with snipers, from 300 meters, shooting semitic schoolkids in the back. Who else apart from you is advocating “the liberation of occupied North Israel land up to the Litani river?” Many advocate the other two, but I didn’t know that was on anyone’s agenda. Educate us. Joker’s just spitting words, pretending that Hizbollah wouldn’t be parading down Rothschild Boulevard before the scenario ever unfolded. Jewish interests in the Litani River were made explicit in letters from Chaim Weizmann, head of the World Zionist Organization (wzo), to various British governmental officials in 1919 and 1920 (Weisgal 1977). In a letter to Prime Minister David Lloyd George, Weizmann argued that Lebanon was “well watered” and that the river was “valueless to the territory north of the proposed frontiers. They can be used beneficially in the country much further south.” Weizmann concluded that the WZO considered the Litani valley “for a distance of 25 miles above the bend” of the river essential to the future of the Jewish “national home” (Weisgal 1977, 267). Nevertheless, the British and the French mandate powers retained the Litani basin entirely in Lebanon. David Ben-Gurion, a leading Zionist and the first prime minister of Israel, suggested to a 1941 international commission on the question of Palestine that the Litani be included in the borders of the future Jewish state. The commission recommended that seven-eighths of the river’s waters be leased to Israel (Saleh 1988). Access to the Litani River was a concern during Israel’s formative years. The diaries of Moshe Sharett, an Israeli prime minister during the mid-1950s, reveal that Ben-Gurion and Moshe Dayan, chief of staff and defense minister, were strong advocates of Israeli occupation of southern Lebanon to the Litani River (Rabinovich 1985). In the wake of the 1967 war and in view of Israeli territorial gains from three of its four neighbors, Dayan reiterated his long-standing opinion that Israel had achieved “provisionally satisfying frontiers, with the exception of those with Lebanon” (Hof 1985, 36). Decision makers who perceive scarcities in their own state will meet demands by using their specialized capabilities to control territory and people farther and farther from its boundaries (Choucri and North 1972, 90). Specialized capabilities, including political influence, economic performance, and military skill and hardware, tend to determine the type of peaceful or coercive pressure that a resource-deficient but capability-rich state can apply to improve its access to foreign resources. Israel’s water scarcity is leading to high-risk strategies that it can use with confidence because its military, economic, and political capabilities are superior to those of Lebanon. The hyrdostrategic significance of southern Lebanon is rarely considered as an explanation of current Israeli occupation of the security zone there. The zone stretches along the northern border of Israel and straddles the westward bend of the Litani River. Israel unilaterally established the zone in 1978, after Israeli troops invaded and remained as a hegemonic occupier. Although there are between one and two thousand Israeli troops in the zone, it is controlled and administered by a Christian Lebanese army general who heads the South Lebanese Army (SLA). Trained, equipped, and paid by the Israeli government, the SLA is nonetheless a quasi-militia, composed of Lebanese. The zone has 850 square kilometers, with 85 villages and a population of approximately 180,000. Shortly after establishing the zone, the Israeli army prohibited drilling of wells there (al-Bargouthi 1986). Moreover, after the 1982 invasion, Israeli army engineers carried out seismic soundings and surveys near the westward bend of the river, probably to determine the optimum place for a diversion tunnel, and confiscated hydrographical charts and technical documents of the river and its installations from the Litani Water Authority offices in the Biqa’a and Beirut (Cooley 1984, 22). Israel also controlled most or all of the waters from the Hasbani and Wazzani rivers, which rise in Lebanon. Over the years, there have been reports of water siphoning from the Litani into the Jordan River basin, a distance of less than ten kilometers (Cooley 1984; al-Bargouthi 1986; Saleh 1988; Abu Fadil and Harrison 1992; Gemayel 1992). The average annual flow of the Litani River is estimated at 920 million cubic meters, of which an estimated 480 million cubic meters is measured at the Khardali Bridge near the westward bend of the stream. Before the river empties into the Mediterranean Sea, an estimated 125 million cubic meters of water is consumed in the Kasmieh irrigation project. Permanent occupation of southern Lebanon and continued access to the Litani could augment the annual water supply of Israel by up to 800 million cubic meters, or approximately 40 percent of its current annual water consumption. This volume is attainable only if Israel reoccupies the Karaoun Dam, as it did between 1982 and 1985, and if the zone’s subterranean springs, aquifers, and the Wazzani water flow are included (Baalbaki and Mahfouth 1985; Al-Nahar 1986). The Karaoun reservoir has a storage capacity of 220 million cubic meters, which is used for irrigation, domestic and industrial water supply, and hydropower. Furthermore, the largest single withdrawal from the Litani is the diversion of 236 million cubic meters annually through the Markaba tunnel to the Awali River for hydroelectric generation to supply Beirut and other coastal areas. In fact, 35 percent of Lebanon’s total production of electricity comes from the Litani waters directly or from the Markaba-Awali diversion. Where’s the info about the 2006 war, which the squatters initiated to steal this land and FAILED IN EVERY WAY? Time for a middle/centered party to take over. Enough far right wing politics… And enough far left politics. Let’s have something more balanced. Are you saying bb again? On this election day, both American and Israeli Jews should reflect and consider that the “Left”-loved Barak Hussein Obama did everything he could to weaken Israel and America and strengthen Iran AND that conservative-leaning Trump has done everything he can to strengthen Israel and America and weaken Iran. Choose your friend.